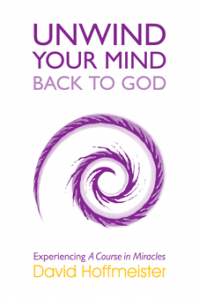 If you are interested in the fast track to spiritual enlightenment and true happiness, look no further. 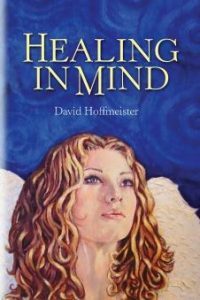 Awakening to True Happiness with mystic David Hoffmeister is a profound opportunity to listen to one who speaks from the Awakened Mind, and receive answers to your deepest questions. Featuring segments of David’s inspiring talks from around the world, this show will give you practical insight into what it actually takes to experience inner peace now! 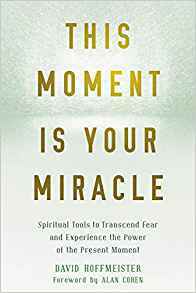 Based on the contemporary spiritual masterpiece known as A Course in Miracles, David’s talks are rich with parables from his own experience that bring the Course to life. 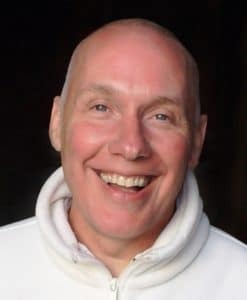 Open your heart and expand your mind as you begin the journey of awakening to true happiness with mystic David Hoffmeister! Description: Everything in form can be used for awakening because we are always in the perfect place at the perfect time for healing, we just have to be open to be guided. Over the years David has been nicknamed the ‘Tech Mystic’ because he has used tech to aid his awakening. This was something he was not interested in doing at all personally, but he was shown by the Spirit how it can be used for the greater good. He was given a map called Levels of Mind to help see patterns in the mind, he then received the Instrument for Peace which is a step by step process of getting in touch with beliefs. This has now been turned into a bot called Spiri which you can find on Facebook. As David shares, this was deferentially not his plan but he knew he must be willing and open minded to find his true Self. David also shares in this weeks show about mind training, consciousness, Self Realization and following the Spirits plan. Here are the links to all the tools that David has created over the years. Come, experience ease and simplicity of authentic Awakening. Step back, relax and look at the world that Love reveals. We will use silence, music, movies, and deep metaphysical sessions as a gentle backdrop to sink beyond intellect into an Experience. The essence of the Awakening to Love Enlightenment Retreat is the pure non-dual teachings of A Course in Miracles. 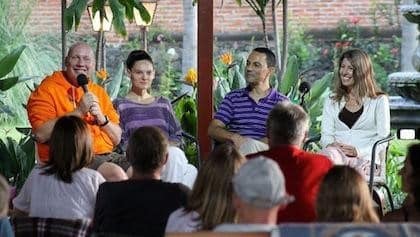 You’ll be welcomed by world-renowned Spiritual teacher and mystic David Hoffmeister, joined with insightful teachers who are demonstrations of presence and clarity. Over the past 30 years, David has traveled to 44 countries across 6 continents to extend the message that Truth is available for everyone, now. David’s message speaks to all people, regardless of whether their background is religious, spiritual, or scientific. He is as comfortable delving into the metaphysics of the movie The Matrix, as he is in pointing to the underlying meaning of the scriptures in the Bible. 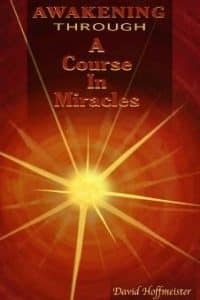 David’s own journey involved the study of many pathways, culminating in a deeply committed practical application of A Course in Miracles, of which he is a renowned teacher and international speaker. His teachings have been translated into 13 languages, and taken into the hearts and minds of millions through the intimate style of his books, audios, and videos. His number #1 best selling book Quantum Forgiveness: Physics Meet Jesus, catapults the mind into a true and transcendent experience of Peace, now. 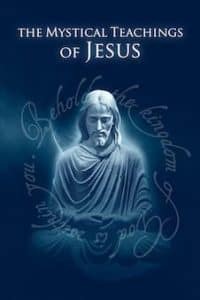 While his latest book The Mystical Teachings of Jesus offers searing clarity with Bible verses and A Course in Miracles quotes to illuminate the mind! Centers have opened devoted to his teachings in the USA, Mexico, Europe, Australia and Canada. 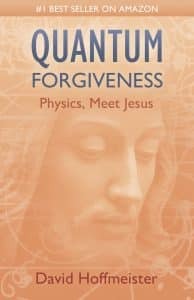 David has a free gift to share: LINK: http://davidhoffmeister.com/qfgift We hope you enjoy this two-chapter excerpt from Quantum Forgiveness: Physics, Meet Jesus. To purchase the full book on Amazon, click here. 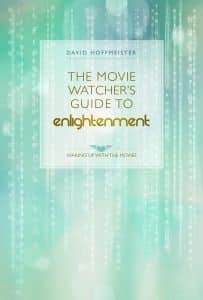 In his new book mystic David Hoffmeister uses 7 mind-expanding movies as modern-day parables to guide you into an experience of Quantum Forgiveness! David Hoffmeister and friends are inviting everyone from around the world to hold hands of invisible light. With a powerful shared intention, we will release old patterns of doubt, stress, and anxiety from our lives!